Quilting Adventures: Queenlands Flood Appeal Auction..... please! Quilters are amazing people, always there to help when in need. I have made some wonderful friend across the globe, many of whom are in Australia. I am sure you have read about the devastation in Australia. It is now my turn to give back. Please help me raise money for this cause. I am auctioning a Civil War Chronicle kit. 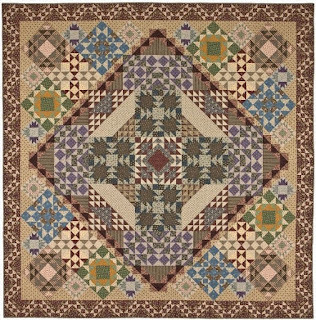 The newest block of the month designed by Dolores Smith and Sarah Maxwell. The kit will include the patterns (which have been written by professional pattern writers) and all of the fabrics to make this top including the binding. 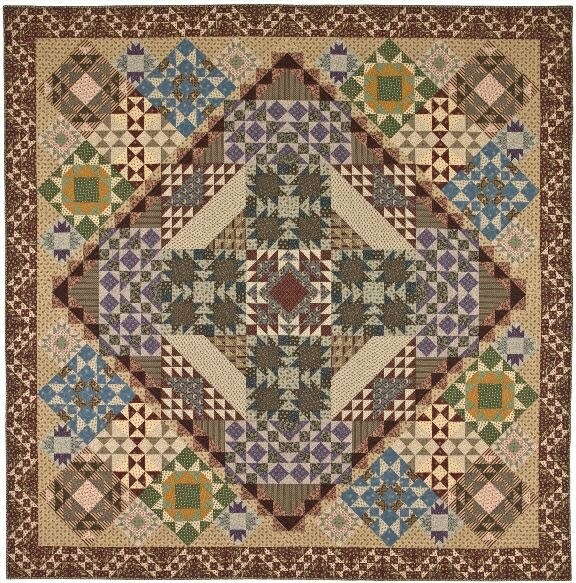 It will come in a beautiful canvas bag designed specifically for this quilt. Retail Value apprx $320 US. Auction ends on January 24th, 2011 at 9:00 a.m. Eastern time. 1. Bidding is in Australian dollars. 4. This auction is open to everyone. 5. The auction begins NOW and will END at 9:00 a.m. Eastern time on Monday 24th January 2011. 6. At the close of the auction, I will contact the winner via e-mail. The winner will pay the winning amount directly into the Premier's Flood Relief Appeal and send me proof of payment via email. Once proof of payment has been received, I will post your Civil War Chronicle kit. Thank you so much for helping to raise funds! What a great kit for a great cause! I will start the bidding at $75. Anonymous, thank you for your kindness. However, I cannot count your bid unless you include your name and an e-mail. If you wish to remain anonymous, please e-mail me your information. Until I hear from anonymous, the highest bid is presently $100.00. Hi. I'm a Tuesday girl too & like to do a bit of everything at Cheryl's which means I too have lots of UFOs only I call them PIWs - Projects in Waiting - they will eventially get done. I'd like to place a bid of $250 as this is a top cause - so much flood damage across my state of Victoria and Queensland. B.Kaliszewski. Carole I'll email my address to you.